The Internet of Things is changing the entire structure of healthcare, both in terms of organisation within the hospital itself, and in communication between patients and clinicians. In the “Life 2.0” survey conducted by Deutsche Telekom back in 2010, one in six decision-makers in the healthcare sector described the Internet of Things as the key trend in information technology. Those views reflect the expectations placed in the wide-ranging possibilities opened up by the Internet of Things against the background of high cost pressures in the healthcare sector. Smart objects communicating with each other or with the personnel via RFID chips can optimise hospital processes and cut costs. 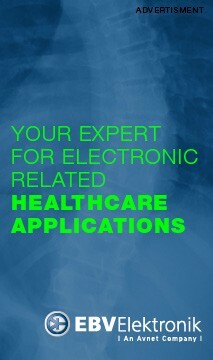 Some hospitals are already starting to fit mobile medical equipment with wireless modules. They enable the location of instruments to be monitored at all times, for example, as well as providing a quick indication of whether instruments have been routinely sterilised. The Internet of Things offers a means of optimising hospital processes, improving quality of care, and cutting costs. The biggest change in the healthcare sector, however, will be brought about by so-called “telehealth” systems. The Internet of Things will help shorten hospital stays, or even in some cases eliminate the need for in-patient care altogether. In future patients will increasingly record their own medical data, at home, using wearable sensors or easy-to-operate equipment. The data will be sent via mobile communications systems or over the Internet to a healthcare service centre. As soon as any indicator strays outside of its pre-set parameters, the system will trigger an alarm and a doctor will be notified. This means patients can carry on their day-to-day lives within their accustomed environment while still being closely monitored. Medical attention is only needed when an actual health risk arises. Costly hospital beds can thus be freed up more rapidly, or in-patient care avoided altogether. According to a study by market research organisation InMedica, over 300,000 patients worldwide were already being monitored by telehealth systems in 2012. That figure is predicted to reach 1.8 million by 2017. The Internet of Things is also enabling so-called Ambient Assisted Living (AAL). AAL relates to systems, products and services linking and optimising new technologies and social surroundings, aimed at improving the quality of life of people of all ages, especially the elderly, and promoting healthy and independent living. Sensor-equipped environments and network-connected smart objects can help remotely detect danger, such as if an elderly person suffers a fall, or identify a fire risk, or provide reminders for patients to take medication. The Internet of Things will thus help people to live free, independent lives, well into old age, while being assured of receiving all the healthcare they need.